The lakeside town of Wanaka is renowned for its stunning natural scenery, beautiful vineyards, and gold mining history. Experience all three on this small-group tour and customize your itinerary with a choice of fun attractions, museums, and activities (own expense). 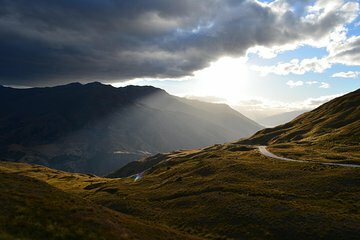 Enjoy a guided tour of Wanaka, admire views of Kawarau Gorge, then visit Wild Earth & Goldfields, where options include wine tasting, gold panning, and jet boat rides.